We are currently only accepting female models for our Fashion Print, Runway and Fashion Presentations. Models desiring work in Fashion Print, Runway, or Fashion Presentations should be at least 5'7" and range in dress size from 0-10 or plus size 12-20. 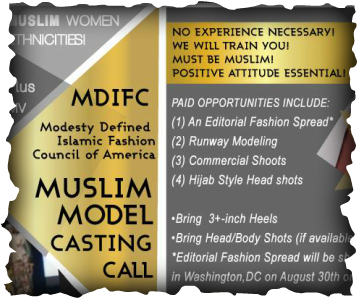 As needed, Petite models will be considered for these opportunities as well. Petite models should be 5'1" to 5'5" in height and range in dress size from 2p-8p. Commercial Print and Promotions models may offer an array of looks and we do not have a particular age, height or size requirement. For any model submission, professional photographs are not required. All images should be quality digital submissions with clean beauty (little or no makeup). If you wish to include additional photographs and tear sheets, you may. Fashion Print, Runway and Fashion Presentation Models under the age of 18 should submit the same information as above and also include the Name, Telephone # and Email contact information for their parent or guardian.